We can provide our service to you at your business premises or home and generally work in the northern suburbs, but we also travel further afield to suit our clients. After many years of practical experience, Julie formalised her qualification by attaining her Cert IV in Financial Services (Accounting) in 2004. 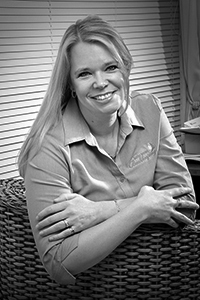 Julie started Better Books Bookkeeping in 2005 and it continues to thrive under her leadership. With the new laws regarding the registration of BAS Agents, Julie is registered and compliant with the Tax Practitioners Board. Julie is an Accredited Partner with Reckon, a Certified Partner with Xero, a Professional Partner with Intuit and a Professional Member with MYOB. Julie is also a Member with the Institute of Certified Bookkeepers which is a leading association for bookkeepers. Julie believes in delivering value for money, honesty and integrity and is always striving to provide the best service to her clients. The team at Better Books Bookkeeping have the training, knowledge and experience needed to get the best outcome for your business needs. 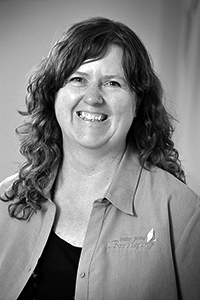 Margaret Fredricksen – Margaret is our office and accounts manager. For over 10 years Margaret was employed by the ATO and had a number of positions in admin and auditing. After a number of years working as a bookkeeper, Margaret joined our team over 5 years ago and strives to keep the team well organised and the office running smoothly! As you may be aware there are new important regulations requiring all contract bookkeepers to be registered BAS agents. Better Books Bookkeeping Pty Ltd is registered and compliant with these regulations. Amongst many changes, these changes also enable us to access the ATO Tax Agents Portal for lodgement of BAS and IAS.